Paul Stolyar was born in Nikolaev city. He is a part of the “Southside MMA” team, where he also works as MMA coach. Paul did a lot of sport in the past. But he always liked wrestling most of all. At the beginning, he was engaged in boxing but later he broke his arm. Then he decided to practice grappling while his arm was healing. As a result, Paul was amazed of grappling and he gradually began to deal seriously with this kind of sport. The first Paul`s official belt was brown and before it he began to perform in purple division at once. Paul has won a lot of no-gi competitions with purple belt through it wasn’t given in official way. He started to perform in gi only with brown belt. Paul says he always fights and works at full power, but most of all he likes pass guard, to attack legs. “I try to pump iron 1 or 2 times a week during one or two hours. Moreover, I run for long distance and train BJJ every day”, Paul Stolyar says. “Currently, I have only my work and jiu-jitsu in my life because I haven’t got enough time for anything else. I immolate my health and private life. But I sincerely believe that you should to lose your head a little in order to achieve something”. Paul has started to train MMA in 2007. He decided to deal only with grappling after he had an operation in 2009. In the same year, having no official purple belt Paul participated in purple division at the state NOGI Championship and became the winner of the open weight class. All fights continued less than 2 minutes because Ukrainian fighter won by technical superiority. Paul got his brown belt in 2010. He managed to win a great number of NOGI competitions. 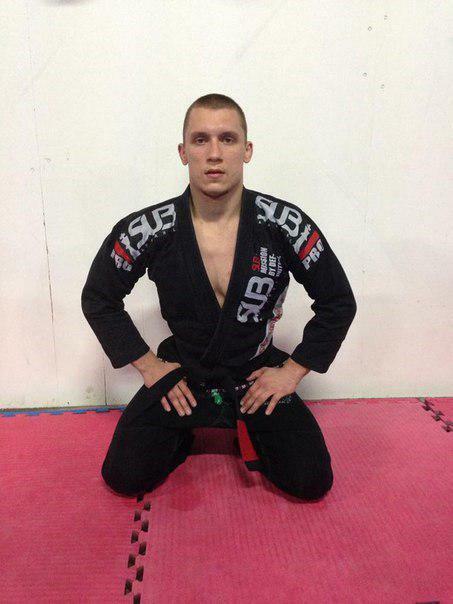 At the same 2010, he had dressed gi for the first time and now he enjoys BJJ even more. In 2013 Paul Stolyar got his black belt in Australia. “It’s hard to realize I managed to receive black belt after less than 5 years of my career (I am in GI only 3 years). At the same time, I was working on a full time basis and I spent much of my time and force”, Paul says. “Honestly, I was pleased to receive a belt but I don`t pay much attention to all these official parts. I believe only in my magic touch of jiu-jitsu. And as of the belt it is only suitable for your trousers. The belt can deceive but your performance on mat never lies! In the nearest future I am going to train a lot and fight more”.